Robert Kubica's crash last Sunday while competing in the Ronde di Andora rally is by now well-documented. And despite the encouraging early signs of recovery and his own clear determination, such are his injuries it looks like he'll be out of racing for some months. This of course is a tragedy on many levels. Most of all it's a tragedy for Robert, who has an almost primal urge to compete and take machinery to its limit. 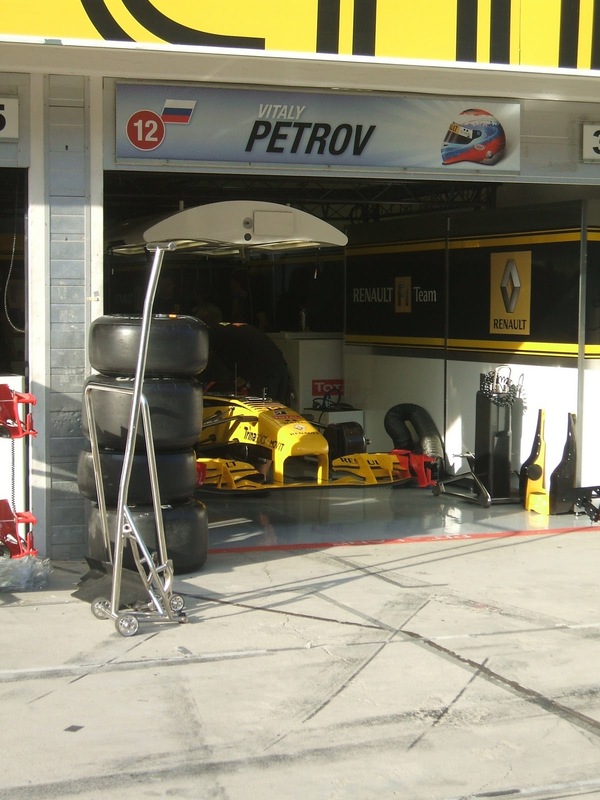 Further, it comes literally days after the evidence from the Valencia test was that Renault could well have made a large performance step at the start of this season, raising the possibility that Kubica would finally get his hands on a car as competitive as he deserves it to be. It's also a tragedy for F1 - it is the sport's pinnacle and the more top drivers that are in it the better it is for everyone. And make no mistake, Kubica, without hyperbole, can be bracketed among the top of the top. 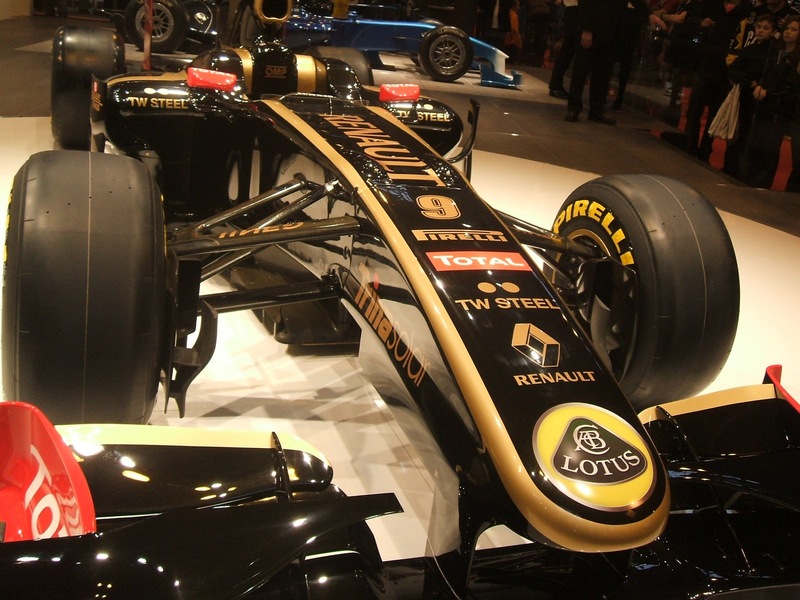 He's spent his time in F1 invariably getting his car into places it has no right to be, including still being in title contention right up to the penultimate race in 2008, while driving a BMW that had barely been developed since mid-season. He's bloody quick, incredibly consistent, highly committed and pushes his team effectively. Moreover, he has a Prost-like ability to avoid driving errors - if you try to think of a time that he has trashed an F1 car it's incredibly difficult to cite an example. It's not for nothing that the likes of Fernando Alonso and Lewis Hamilton really fear the day that Kubica gets his hands on a set of wheels that do justice to his towering talent. As his technical director James Allison said, 'If we can give him a car that's even half capable of getting a championship he'll get one'. Furthermore, 'Bobby K' displays a refreshing lack of pretension, self-aggrandising and entourage, as well as a healthy lack of interest in the sport's 'trappings', which is rare to see in the sport, especially in modern times. When asked what the biggest perk is of his job Kubica's answer was simple - 'driving'. By all accounts he's a really nice guy with a dry sense of humour, which often comes across in interviews. Another thing that is refreshing is the up swell of sympathy and good wishes since Sunday when Kubica's accident and injuries became known, as the F1 'family', fans and participants alike, rallied around. Within this there has been criticisms however, Martin Brundle for one calling him 'crazy' for taking part in a rally between key pre-season tests, thus putting him at risk of injury and therefore of being no use to his team, who rely on him and remunerate him well. Almost inevitably, some have asked whether teams should allow their drivers to take part in 'extra-curricular' motorsport at all. Of course, from a business point of view they have a point, but I nevertheless find their broad point of view troubling. For one thing, it strikes me that there is a lack of human understanding to say such things of a man who was lying in hospital, in intensive care and facing the prospect of losing functionality of a hand, with the dust barely settled from his accident. Further, I find the reaction rather typical of a modern society wherein it is felt necessary to attribute blame every time something unfortunate happens. Kubica's competing in rallying was well known throughout the year of 2010, and I really cannot recall anyone criticising him for putting himself at risk before last Sunday's accident. You can hurt yourself doing almost anything, would it make people feel better had Kubica sustained an injury falling down the stairs at home, or while out in his road car? Jenson Button famously competes in triathlon, no one critisises him for it, but could he not put himself out for a few races injuring himself falling off his bike? 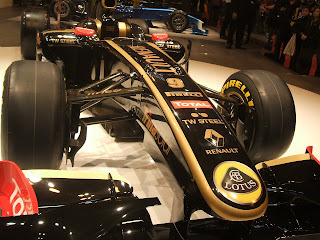 It is also the case that a common criticism of contemporary F1 drivers is their existing in a 'bubble', a far cry from the days when F1 drivers would routinely take part in other events on their spare weekends: sports cars, F2, non-championship events, rallying, touring cars, sometimes even motor bikes. Robert Kubica should be applauded for recognising that there is a world beyond F1, as well as for expanding his repertoire and giving his talent a wider showcase. In any case, let's hope we see Kubica back behind a wheel of an F1 car before too long. As is always the way in F1, it didn't take long for all concerned to look ahead and speculate as to Kubica's replacement in the Renault driver line up. It looks like Nick Heidfeld's seat to lose, Renault team boss Eric Boullier effectively admitting as much, as well as with Quick Nick being invited to test the Renault at Jerez for today's running (and his lap times today are sufficiently impressive to suggest that the seat is probably his). This is a good move, I've always felt Heidfeld is tremendously under-rated. His ability to bring a car home and bag good points is well-documented, his record of 41 consecutive classified finishes will likely never be equalled and he of course out-scored Kubica in two of the three full seasons they had as BMW team mates. But I always feel that his pace is much stronger than usually acknowledged - Kubica very rarely embarrassed him on pace when they were team mates, and neither did the likes of Raikkonen and Massa. Like Kubica, Heidfeld's lack of pretension and self-aggrandising possibly hasn't always served him well in the strange world that is the F1 paddock. 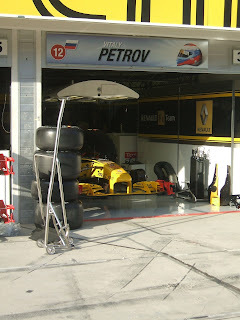 Someone that has been forgotten in all of this is the other Renault pilot, Vitaly Petrov. While he was roundly beaten by Kubica last season, that certainly is no disgrace, and Petrov did on occasion show potential, particularly at Hungary and Abu Dhabi. And it tends to be the way with the extraordinary breed that is the F1 driver that the 'number two' steps up magnificently on pace when the team suddenly becomes dependent on him - think Kimi Raikkonen in 2009 after Felipe Massa was injured, Eddie Irvine in 1999 in similar circumstances, Damon Hill in 1994, his father Graham in 1968, the list goes on. As Nigel Roebuck has said: 'The realisation that his role has changed, that the team is now dependent on him, is an enormous test of a racing driver's character, and usually he responds superbly.' Let's hope we therefore see Petrov step up to the challenge in 2011. Why does Fernando Alonso get such hate?